I wake up almost every morning with an earworms. Sometimes they fade quickly, other times they last for days. Sometimes they make me happy, sometimes they make me doubt my own sanity. They come from all genres. I can never figure out what triggered them. The only thing I do know and that they do without fail is reinforce my belief that all music is connected and good music never goes out of style. It’s hard not to be chipper when you wake up humming The Hills are Alive by Julie Andrews. kind of repetitiveness that makes a really sticky earworm. I love Little Willy by Sweet. It’s a great earworm if your need motivation to move. Fly Like An Eagle by Steve Miller Band is a nice mellow earworm. Take it on the Run by REO Speedwagon is an earworm flashback to my uncle’s stereos. Somebody’s Baby by Jackson Browne has a really catchy tune. Tanya Tucker’s version of Delta Dawn is the version I hear in my head, with that Tanya Tucker twang. The Helen Reddy version is good to, but smoother. I like the twangy earworm. Stranded in a Limousine by Paul Simon is one of those earworms I sing end to end over and over. No Particular Place To Go by Chuck Berry is the perfect earworm for a road trip. Tiger Rag by Jelly Roll Morton runs in my head sometimes, but because there are no lyrics it tends to be a very short lived earworm. Too bad. It’s a fab song. Guantanamera by Celia Cruz makes me dance. I can’t fight it. Guitars, Cadillacs by Dwight Yoakam reveals my inner alt country fan. Walk The Dinosaur by Was Not Was is another one of those good earworms for a day you have stuff to do, because it will keep you moving. My October unconscious cut a pretty broad swath through the music field. Where have I heard that before..? When I see a movie I come away with the story line and the dialogue stuck in my head. I am word focused. My son, on the other hand, comes away with the background music stuck in his head. It is because of him that I have developed an appreciation for music written for film, TV and other media. As an autumnal musical treat, perhaps small consolation for the falling leaves and shorter days, I’ve pulled together some music by these modern media composers. Hugo Mario Montenegro’s best known work is from Spaghetti Westerns. He composed the score for Charro! – and yes that’s Elvis singing. Leroy Shield wrote the theme song for The Little Rascals. Steve Jablonsky has composed for film, TV and video games. Michael Giacchino has composed scores for film, TV and video games. Howard Leslie Shore is a Canadian composer who composed film scores, notably for The Lord of the Rings and The Hobbit. Ennio Morricone is one of the most influential film composers of all time. He’s composed over 500 scores for film and TV. Thomas Newman has scored a lot of Oscar nominated films. The Green Mile is one of them. Sir Malcolm Arnold produced scores for about 80 films going way back. Manos Hatzidakis received an Oscar for Best Original Song for Never on Sunday. Neal Hefti composed the themes for TV and film, most famously for Batman. Dustin J. O’Halloran composes scores for film and TV. Hoyt Curtin was primary musical director for Hanna-Barbera and wrote the theme for The Flintstones. Éric Serra is a French musician and composer. He has worked on films by Luc Besson. Norrie Paramor was a composer of studio albums, theatrical productions and film scores. Raymond Scott never actually wrote for cartoons but his music is familiar because it was adapted for Warner Bros., Looney Tunes and Merrie Melodies. Herbert P. Stothart was nominated for twelve Oscars, and won Best Original Score for The Wizard of Oz. Hans Zimmer composed music for over 150 films, including The Lion King. Milt Franklyn was a musical composer and arranger with Warner Bros. and Looney Tunes. Michael Hennagin wrote television soundtracks. John Powell is particularly known for scores for animated films. James Bernard scored many classic horror films. John Harle wrote the score for Prick Up Your Ears with co-writer Stanley Myers. Richard Harvey is known for film and television soundtracks. Randy Kerber is a composer and keyboard player for film. Mike Post is best known for TV theme songs like The Rockford Files. Marco Edward Beltrami is known for his work scoring horror films like Hellboy. The Nobel Prize in Literature 2016 was awarded to Bob Dylan “for having created new poetic expressions within the great American song tradition”. He is an icon. He changed how we see folk music. He defined the shifting progress that happens between generations for generations that followed. Though there are some dissenters, I gather that the net feeling is that this award was well bestowed. A Nobel prize for poetry makes sense, and it is hard to argue that lyrics are not poems set to a tune. But even beyond pointing out poetry as the obvious written genre, his body of work embodies the art of story telling. It’s prophesy. It’s philosophy, a call to the angels of our better nature and a condemnation of our baser instincts. It’s an outline of the human condition. It’s musical theatre. In some cases it can be seen as investigative reporting, and as social commentary. It is well reasoned to award the Nobel to a songwriter whose lyrics are the the basis of the song – and be honest, none of us listened to Bob Dylan for the lilting qualities of his voice. In fact I see every justification of this award when I read his words, even if they echo in my head in tune. Many heavy weight organisations have weighed in: CBC, BBC, NYTimes, Rolling Stone, New Republic. We may disagree as to whether lyrics are poetry and therefore deserving of this honour, but we must agree that he has been an icon during an era of progress. As our difference of opinion? Don’t think twice, it’s alright. Listen to some artists who certainly have recognized his influence on their art and on their world. As with most things historical, women are underrepresented in the genre of classical music. In spite of the odds being against them, a few women wrote some exceptional classical music that survives to the present day. They deserve more exposure. So here is my October contribution to mitigating our cultural musical myopia. Below are links to a works by six female classical composers I have on my iPod right now, with one song link for each. This contribution differs a bit in that October was a lean month for women composers, so to round out the list I have thrown in the work of some composers whose exact date of birth is unknown. Maria Teresa Agnesi (Oct 17, 1720) was famous for her compositions, an accomplished harpsichordist and singer. Lera Auerbach (Oct 21, 1973) is a classical composer and pianist. Hildegard of Bingen (1098) Saint Hildegard was a Benedictine abbess, writer, composer, philosopher, mystic, visionary, and polymath. She is considered a founder of scientific natural history. Maddalena Casulana (c. 1544 – c. 1590) was the first female composer in the history of western music to have her music printed and published. Claudia Sessa (c. 1570 – c. 1617/19) composed two sacred works published in 1613. Vittoria Aleotti (ca. 1575 – after 1620) (possibly to be the same as Raffaella Aleotti (ca. 1570 – after 1646)) was a composer and organist. I have broad, perhaps somewhat eclectic taste in music. Most of the music I enjoy in genres outside what gets airplay on popular radio I have stumbled upon by accident. Our culture doesn’t really expose young people en masse to much more than current popular music. And that’s a shame. So it feels like a good idea to do my bit to mitigate our cultural musical myopia. Below are 31 works of classical music composed by artists born in October whose works I have enjoyed – one for each day of the month. Giovanni Battista Cirri (Oct 1, 1724) was an 18th century composer. Anton Cajetan Adlgasser (Oct 1, 1729) was an organist and composer at Salzburg Cathedral and court. Pierre Marie François de Sales Baillot (Oct 1, 1771) was a violinist and composer . Paul Abraham Dukas (Oct 1, 1865) is probably best remembered work is The Sorcerer’s Apprentice. Ödön Pártos (Oct 1, 1907) was a violist and composer. Herman Koppel (Oct 1, 1908) was a composer and pianist who fled the Nazis in 1943. Antoine Dauvergne (Oct 3, 1713) was the composer of Les troqueurs, which influenced the development of opéra comique. 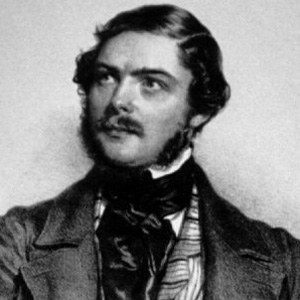 Woldemar Bargiel (Oct 3, 1828) was a composer, and half brother of Clara Schumann. Charles-Camille Saint-Saëns (Oct 9, 1835) was a Romantic era composer, organist, and pianist. Karol Szymanowski (Oct 6, 1882) was a celebrated Polish composer in the early 20th century. William Billings (Oct 7, 1746) is considered the first American choral composer. Charles Converse (Oct 7, 1832) composed church songs, famous for setting the words of Joseph Scriven to the hymn “What a Friend We Have in Jesus”. Louis Vierne (Oct 8, 1870) was an organist and composer. 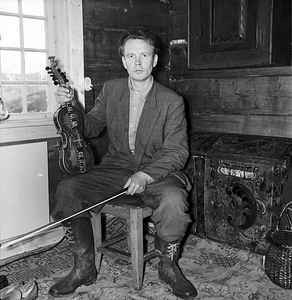 Eivind Groven (Oct 8, 1901) was a composer with a background in the folk music. Einojuhani Rautavaara (Oct 9, 1928) was a Finnish composer. Paul Creston (Oct 10, 1906) was a composer of classical music. Simon Sechter (Oct 11, 1788) was an organist, and composer. Alexander Dreyschock (Oct 15, 1818 ) was a pianist and composer. Erkki-Sven Tüür (Oct 16, 1959) is a composer. Geirr Tveitt (Oct 19, 1908) was a composer and pianist and a central figure of the national movement in Norwegian cultural life during the 1930s. Robin Holloway (Oct 19, 1943) is a composer, academic and writer. Karol Mikuli (Oct 20, 1819) was a pianist, and composer. Franz Liszt (Oct 22, 1811) was a prolific 19th-century composer, and pianist. August Labitzky (Oct 22, 1832) was a composer, and the son of Joseph Labitzky. Kees van Baaren (Oct 22, 1906) was a composer and teacher. Ferdinand Hiller (Oct 24, 1811) was a composer, and conductor. Ernesto Camillo Sivori (Oct 25, 1815) was a virtuoso violinist and composer. Johann Strauss II (Oct 25, 1825) composed light music, most famously he composed over 500 waltzes, polkas, quadrilles, and other types of dance music. Ivan Mane Jarnović (Oct 26, 1747) was a virtuoso violinist-composer of the 18th century. Niccolò Paganini (Oct 27, 1782) was an influential violinist, and composer. Philippe de Vitry (Oct 31, 1291) was a composer, and poet.